A graduate of Michigan State University’s advertising management and media program, Brittany Haggerty joined the Thomas Duke Company in 2014. In addition to that degree, she brings prior experience in the mortgage business, which gives her a broader perspective on real estate sales. 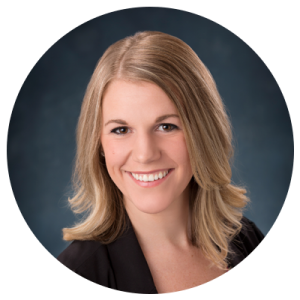 Brittany serves as the central nervous system of the Western Wayne County team, coordinating and managing all phases of the team’s marketing efforts in the communities of Plymouth, Canton, Livonia, Dearborn, Westland and Garden City, among others. Her direct interaction with clients allows her to understand both their goals and their properties as she helps the team design strategic marketing campaigns. With her rare combination of both analytical skills and creative talents, Brittany is a valuable asset to the Duke Company. She’s able to conduct thorough market research and analyze that research precisely, then design eye-catching materials to market properties based on that research. Her team also depends on Brittany’s organizational skills to keep its day-to-day operations running smoothly. And the company as a whole relies on her to promote its profile on several social media platforms.